So I figure I should start a build thread for this one. I picked this up just over 18 months ago. 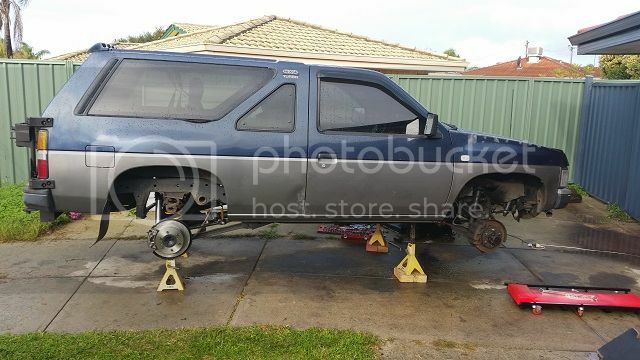 Below are the pics from the Gumtree ad. 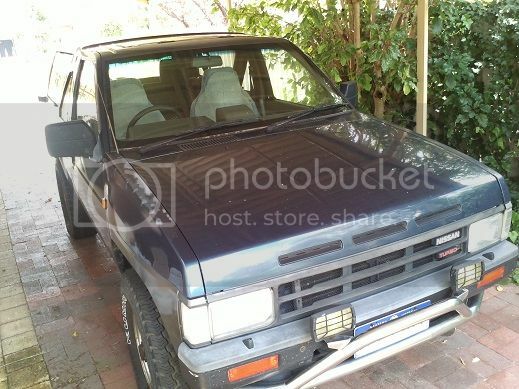 3/89 Terrano, TD27T, 4spd Auto, 3 door, metallic blue over metallic grey. It was in pretty poor form when I bought it. Motor didn't sound happy, gearbox seemed to slip, rear trailing arm bushes were completely shot which made it very scary to drive. The bushes were so bad that if it changed gear at 80km/h, the whole vehicle would rock from side to side until you moved the steering to stop it. There seemed to be a constant shortage of vacuum during the test drive. 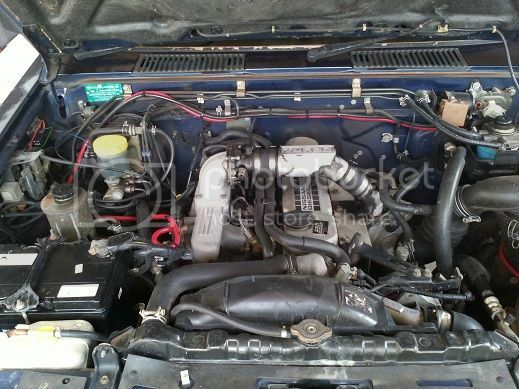 Once I opened the bonnet I realised why - the alternator belt was so deteriorated, it was almost non-existent! First thing when I got it home was a full kit of new belts. Last edited by WD21 on June 20th, 2014, 6:45 pm, edited 1 time in total. 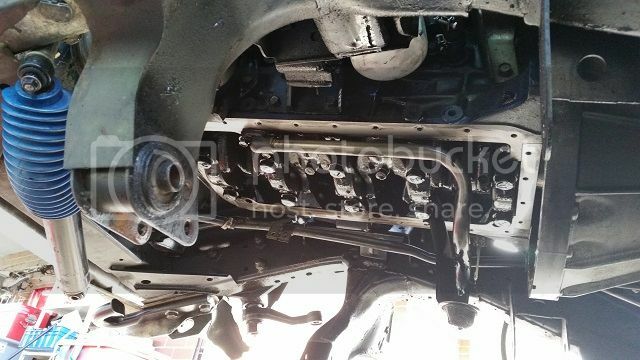 a) 40mm King Springs had been installed, but nothing was done to correct the rear panhard. This means the rear panhard was constantly pushing the axle about 25mm out of centre. This put extra stress on the trailing arm bushes leading to complete failure. b) They were 23 years old, so no real surprise. The bushes were replaced with new Nolathane bushes (46046), and the rear panhard was replaced with a Superior Engineering adjustable panhard to suit rear GQ Patrol (#885). The Patrol panhard is almost a perfect fit, however the bracket on the chassis needed some manipulation with a set of vice grips to clear the thicker tube. 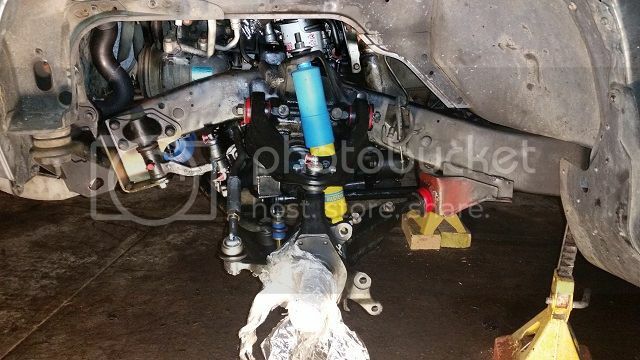 Additionally, the lower bushing had to be replaced as it was the wrong size for the axle. 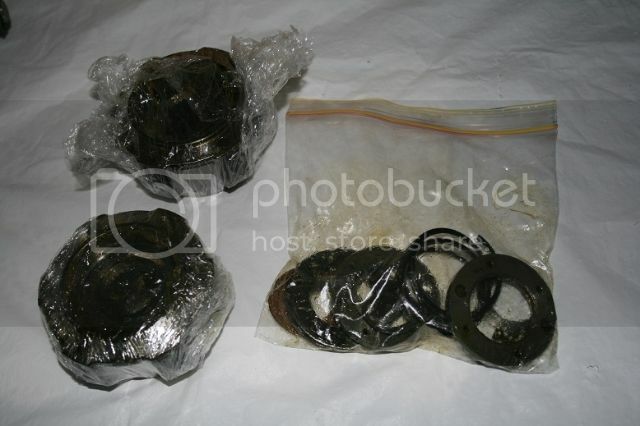 A Nolathane panhard bush kit for an R31 Skyline (48104) contained the exact bush that would mate the two perfectly. Once this was corrected, attention came to the gearbox. I spent longer than I should have swapping the box with a spare, only to realise that it had been some time since I'd driven a diesel, and that the gearbox was fine - the tacho was out of calibration all along. Still laughing about that one. 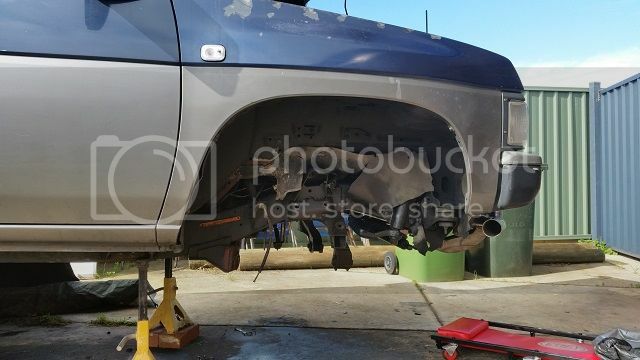 Once the new transmission was in, attention came to the wheels and tyres. I bought it with 31x10.50R15 tyres fitted. However, it has 4.625 gearing, which meant it came from the factory with 235/75R15 tyres, so it was already running at a 5% loss of torque, and the speedometer was out by the same amount. WD21 Terrano/Pathfinders that came from factory with auto trans and 31" tyres shipped with 4.875 (more commonly referred to as 4.88) gearing. 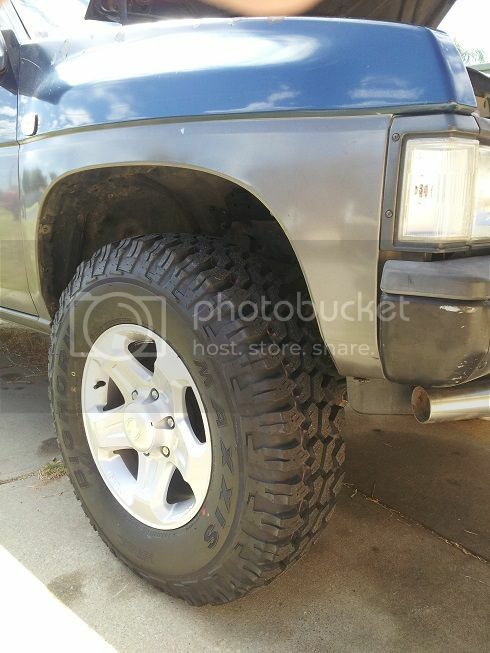 Promptly, in an effort to make matters worse, I had 235/85R16 Maxxis Bighorns fitted. Amazing tyres off road. Pretty decent on road too. I've since found they get noisier as they wear. The water temperature gauge told me it was time to have a closer look at the cooling system. This became a real headache. What started with a plan to flush and replace hoses turned into a four-week mission. 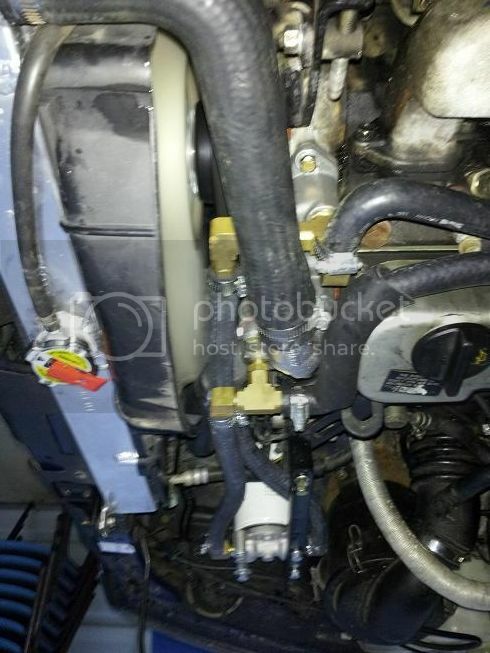 It looked as if the coolant had been continually topped up with tap-water and no concentrate or inhibitor - coolant should not look like rust-filled water! The thermostat housing and water outlet had begun to rot away to the point where their structural integrity was not fit for use. There was a hole in the side of the water outlet, and the thermostat housing wasn't far away from the same fate. The thermostat had failed in the open position. I replaced the thermostat with a high-flow 82° Tridon unit, and the thermostat housing and water outlet were replaced with donor parts from my last Terrano. 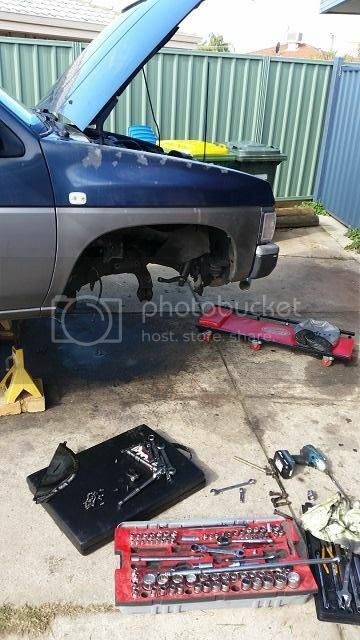 At this stage, I was being a bit too frugal (and had not yet established a relationship/trade card with the local Repco), so I made the mistake of ordering new radiator and heater hoses through Super Cheap Auto. After two lost orders, and three weeks, I finally received my hoses. 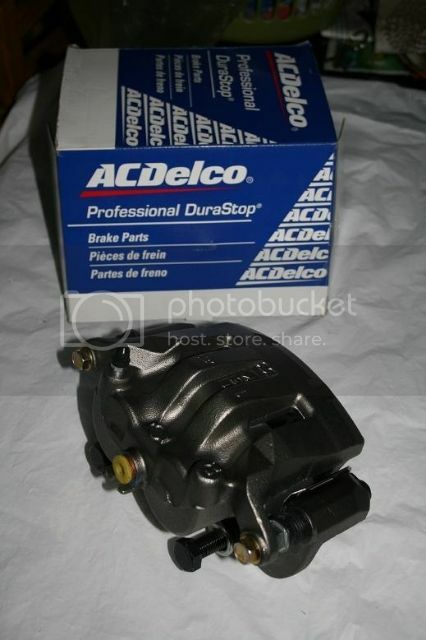 I decided to order a new water pump from Repco. While I was at it, it seemed wise to replace the radiator as well. Mistakenly, I bought a cheap chinese unit on eBay for about $120. It leaked at the tanks. This was the least of my problems however when I quickly learnt the difference between RTV silicone, and aviation fuel gasket sealant. Rookie mistake. After a lot of careful planning and a slow accumulation of parts, I decided I would tackle the cooling system again. I scored one of a limited run of 50mm two-row aluminium tank radiators for the TD27 on eBay, and paired it with a Tridon "safety lever" type radiator cap. Having discovered the concept of spin-on coolant filters on heavy diesels, I decided I had to have one. After a lot of measuring, measuring again, and measuring a third time, I slowly worked out the various fittings that would be required to successfully "tee" off the heater lines to accommodate the coolant filter. It was going to cost about $280 to rethread the thermostat housing. 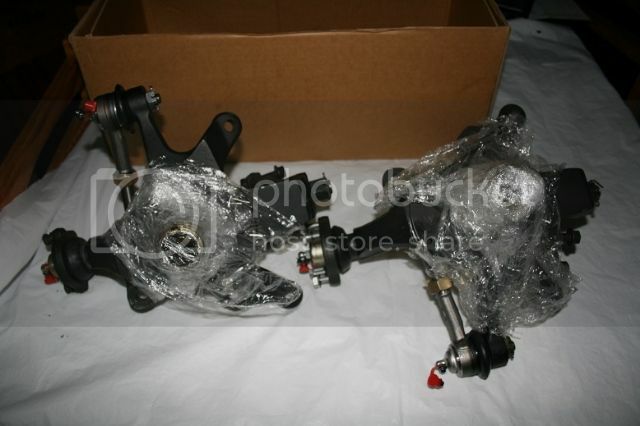 However, it would cost $215 for a brand new thermostat housing for a TD42T. Well, it looked like it would fit. Unfortunately, somehow Nissan's machining isn't very consistent. Some of the holes that mounted the housing to the cylinder head were off centre by about 3mm. After a lot of swearing and "coercion" with the drill press, I managed to get it to line up. All the threads in the timing case for the water pump and thermostat housing were replaced with helicoils. The original thermostat housing suffered from the well-documented "long bolt syndrome" of the TD42. The long drive to work was really starting to hurt my back around January, as the OE driver's seat was certainly on its way out. Having a bad back, and once again wanting to over-do it, I opted for some Recaro seats. Pictured are the pair of Recaro Specialist M seats I fitted around Easter. The driver's seat has adjustable pneumatic lumbar support. 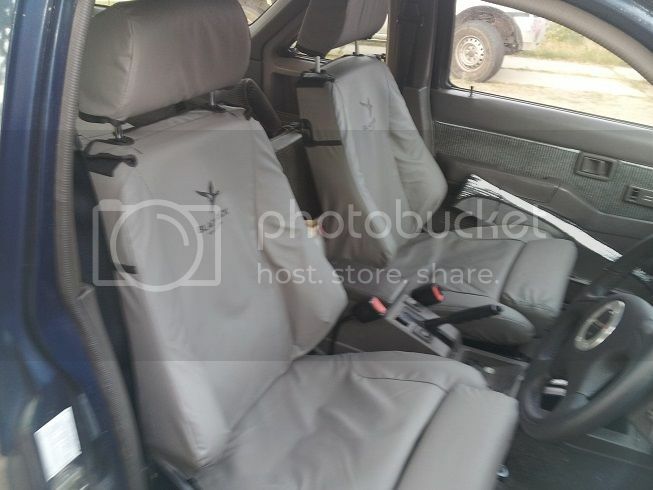 Seats were fitted using genuine Recaro rails and frames. I have gained a larger range of adjustment in the rails, which can allow more leg room. 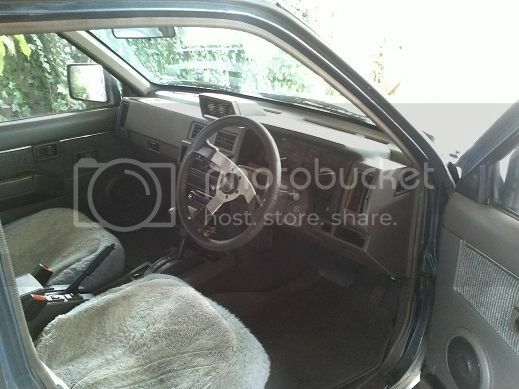 This seemed great at first, until I realised that with ample leg room, it becomes too difficult to reach controls in the centre of the dash (radio, HVAC, etc)! I have since learnt to compromise. You can also see the new steering wheel I fitted - the original had started to perish. I'm ashamed to admit it, but it's an Autotecnica wheel. I would have happily spent the money on a Momo or similar, but they don't make anything larger than 350mm. I also couldn't find a style of wheel that I liked the look of more than this one. I believe it is an Autotecnica copy of a Momo wheel that was made for the WRX before it was fitted with airbags. The Nismo horn button however, is genuine (and rare, $$$). I had to have the aluminium trim ring on the steering wheel modified with a friend's lathe to clear the horn button. Don't see many of these around. Bet the seats make a huge difference on a trip. We had one of these on our high country trip, very capable little car. Were you building up anothrr one of these a while ago? I had one of these as my first 4wd. geoffo wrote: Were you building up anothrr one of these a while ago? 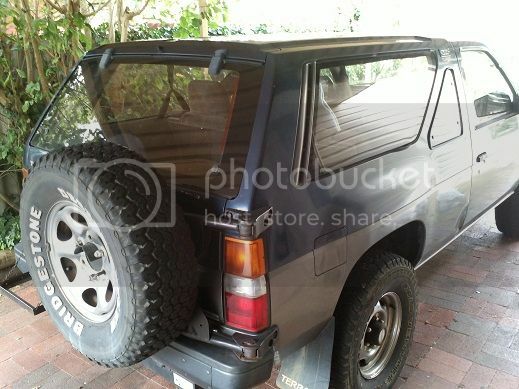 I had one of these as my first 4wd. Yeah, ran out of time and money on that project. It all ended up being too difficult (also, too difficult to reassemble, got a bit carried away ). Took some photos today to give an idea of where I'm at. I've spent the last ten-odd months doing a lot of prep-work to overhaul just about everything under the chassis. 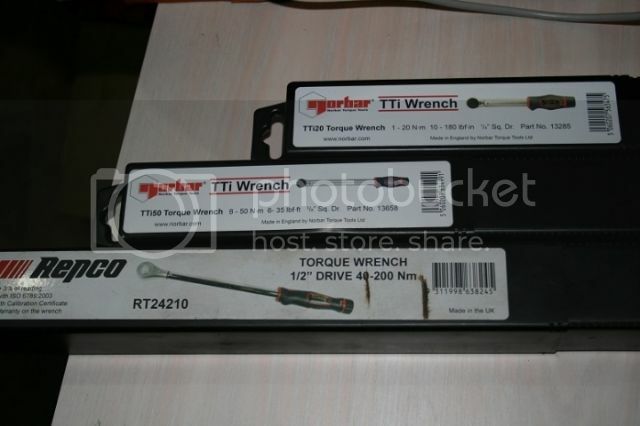 First thing's first: some nice tools - Norbar torque wrenches. Fantastic units. These are the CV joints from the donor that I've completely rebuilt. These are the elusive dual Rzeppa joints, better known as the "5 bolt" CV, referring to the flange, typically only found on an R200A front end. The R180 typically has a tripod joint as the inner CV joint, a weaker design - these are identified as a "6 bolt" CV, where the bolts are arranged in three pairs around the flange. The FSM says the wheel-side Rzeppa can not be disassembled, but I found that to be untrue. It's just a bit fiddly, and you need to line things up in a specific manner. These are the steering knuckles that came off the donor vehicle. I tore them down, cleaned them, painted them, then had them modified at a local machine shop. 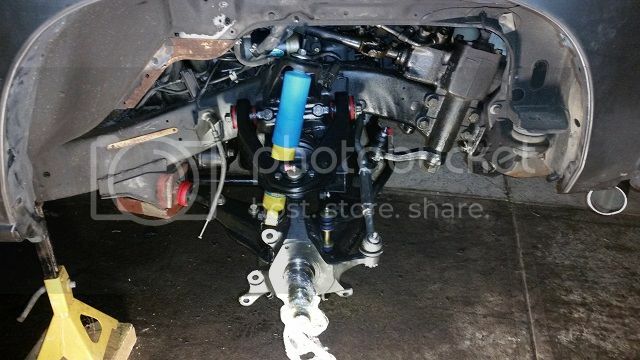 Here you can see them fitted with all new Moog ball joints and tie-rod ends. 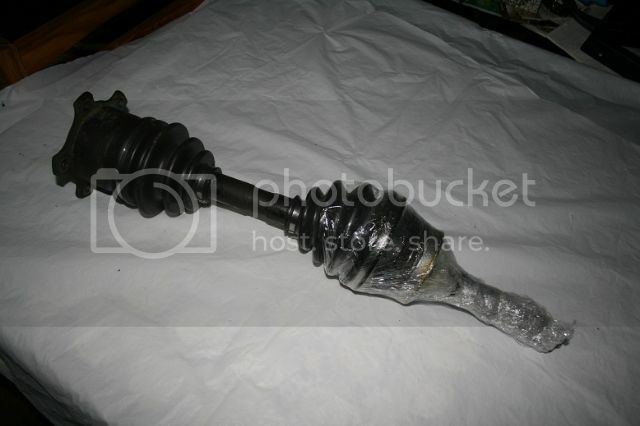 - The tie-rod ends vary according to manufacturing date. My '89 has one size, these are off a '93. The 12mm holes for the callipers were drilled to 14mm. Why? To replace the OE CL28VD callipers with CL33VD callipers, found on later D22 Navaras and WD22 Xterras (USDM). The intention of replacing the callipers is to swap the OE-spec rotor of 277x26, with a larger rotor of 300x28. 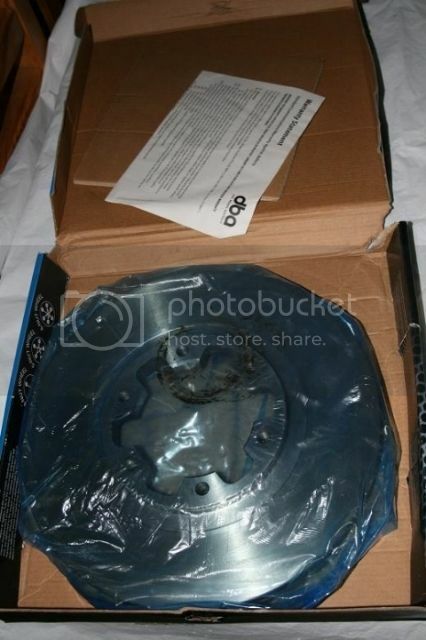 OE spec rotor is DBA 624, new rotor is DBA 629. Edited to comply with forum image guidelines. Last edited by WD21 on July 31st, 2014, 10:37 pm, edited 2 times in total. Some pretty lame-looking progress photos. Don't really want to handle my phone or the DSLR once I'm covered in grease and dirt. Rear end is more-or-less finished. Got the front end stripped out. Took the opportunity to put a new gasket on the oil pan. Alternative view of the barren front end. Last couple of days' work. Awesome build, coming along nicely! !